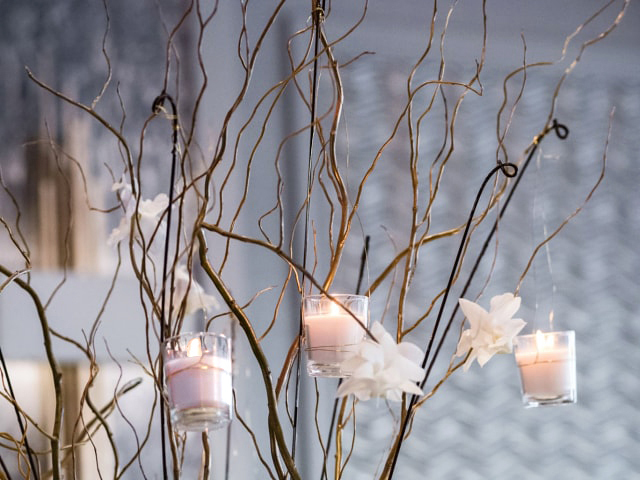 Imagine gorgeous white Tibet roses, tropical dendrobium orchid blossoms, hydrangeas, roses, stock, eucalyptus, curly willow branches with hanging votives, and glimmering golden accents. 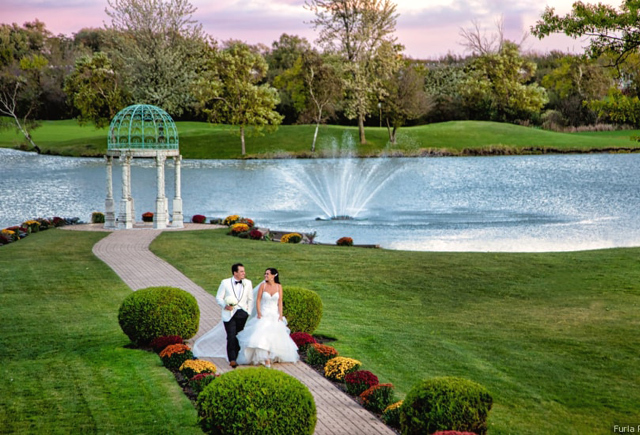 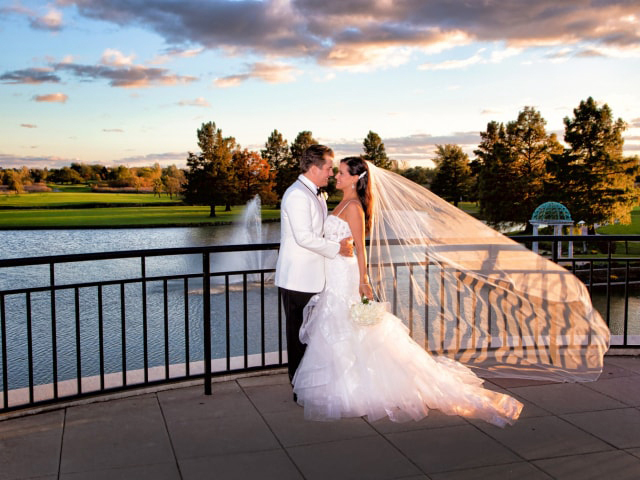 That's the glamorous setting that some 250 guests enjoyed at Angeline and Nick's beautiful October wedding at The Odyssey in Tinley Park. 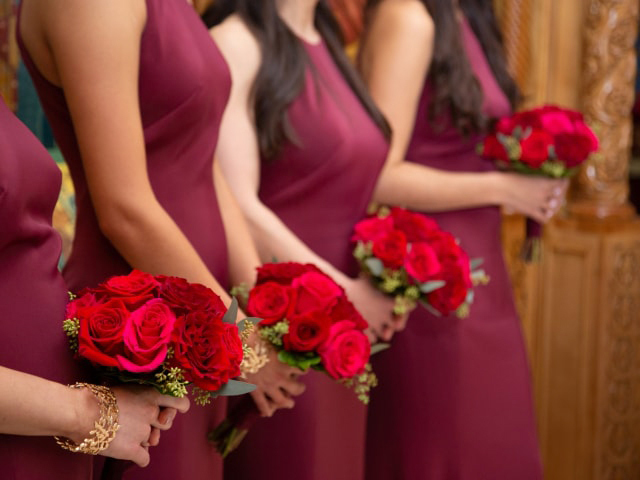 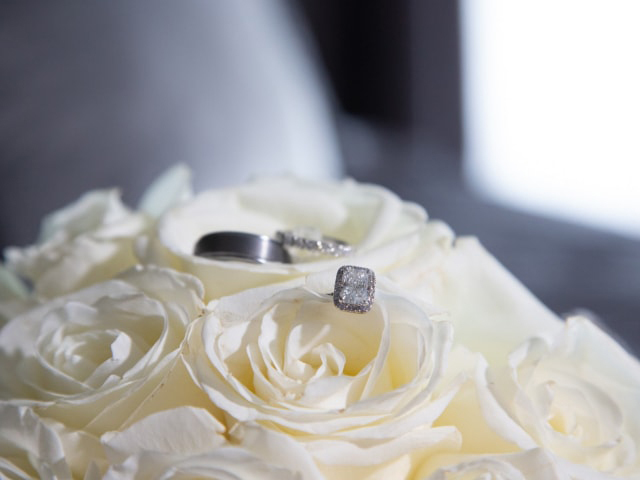 The attendants carried burgundy, hot pink, and red rose clusters for a bold color contrast with the bride's white bouquet. 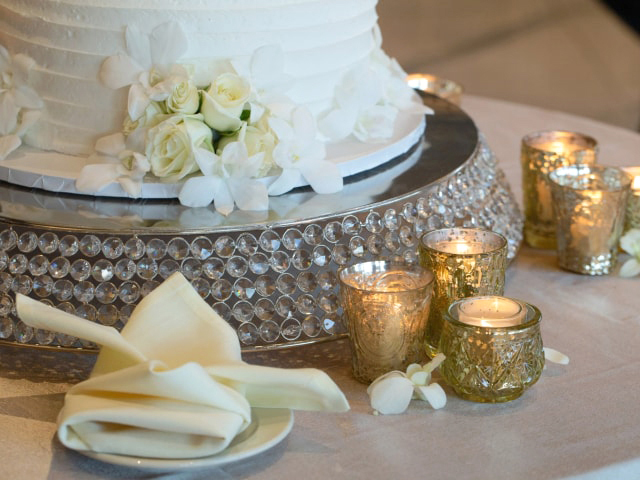 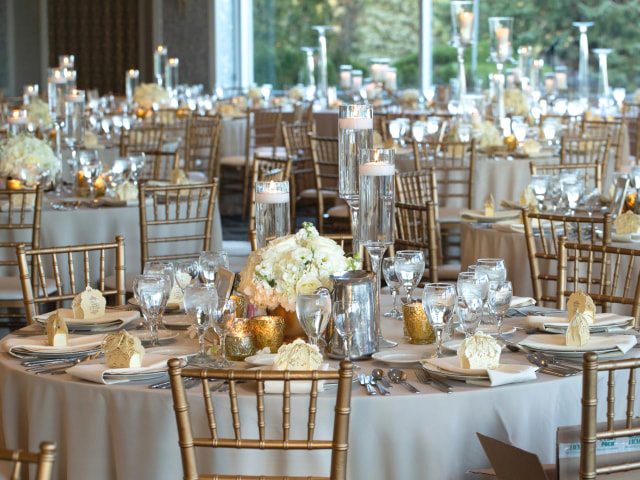 The reception was an elegant white and gold theme, with three different alternating centerpieces, rich gold and clear glass accents, and romantic candles throughout. 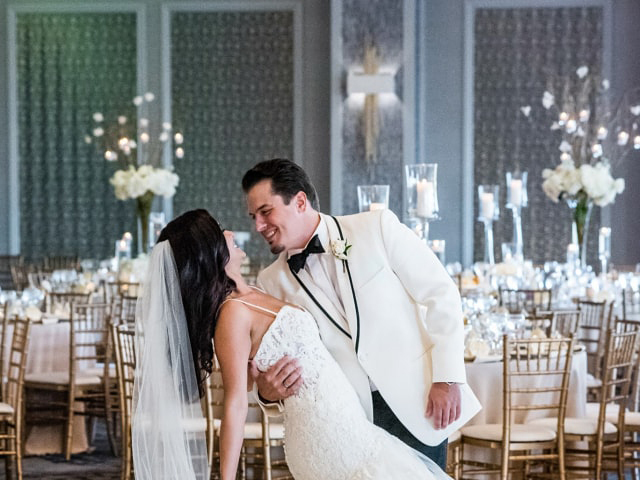 Angeline (Genie) was picture-perfect, and the ballroom was stunning, too. 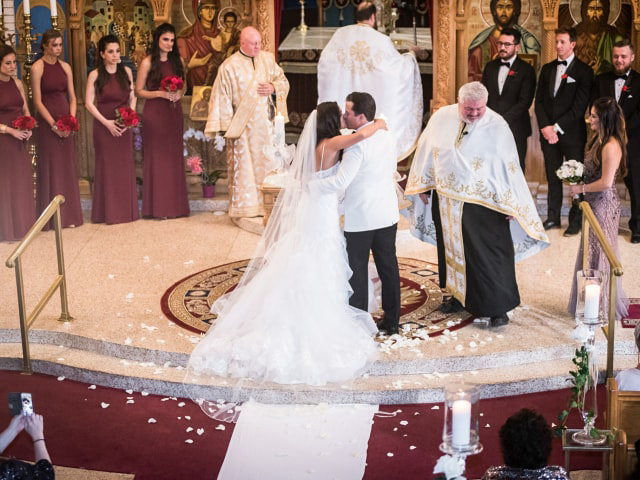 Thank you Manikas Designs for letting us help bring your vision to life, and thank you Wedding Wire for sharing this wonderful couple's day. 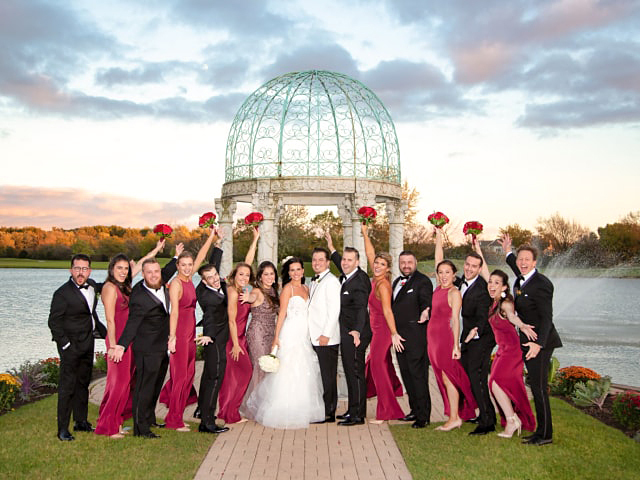 Most importantly, congratulations Angeline and Nick. 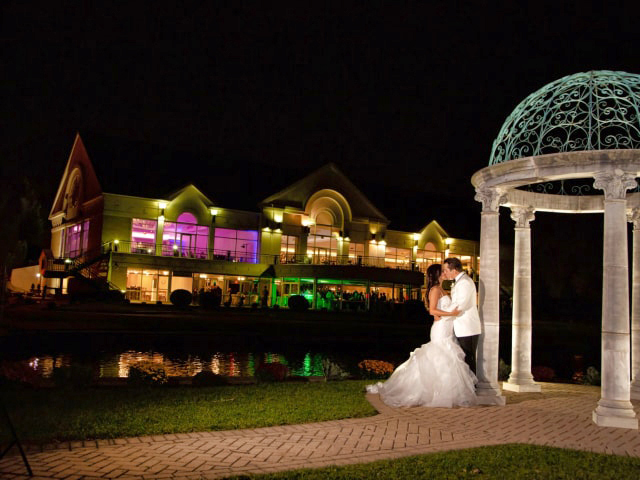 Your wedding was pure magic!